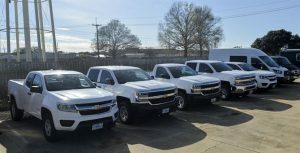 In a recent post we discussed the importance and benefits of a formalized maintenance program for your vehicle fleet (if you missed it, see it here). Having discussed the why of a structured program, let’s talk about the how. What are the components of a successful vehicle maintenance program? Mission statement. Mission statements may seem like lofty things for large corporations, but the idea is really pretty simple: your team will do better if they understand the reasons for the program and its goals and objectives. Identify these things, as well as who is responsible for what, at least in general terms, and you’ve taken care of a lot of the heavy lifting right up front. Needless to say, all of that information needs regular updating. Inspection procedures. The heart of any maintenance program are the pre-trip or other regular inspections performed. This is where you’ll outline exactly what gets inspected, and how often. Tracking system. Each vehicle needs its own maintenance, schedule and inspection sheets, whether on paper or in digital form. You’ll have to establish a system of recordkeeping so all of this information can be easily accessed and monitored. Third-party monitoring. If you’re using outside contractors for any maintenance work, you’ll need a similar system to monitor their documentation and costs, and to follow up on the quality of their work. Cost model. This is where you close the loop on all of the above and assess total cost of ownership including initial costs, interest rates, repairs and maintenance expenses. Don’t neglect this step, as it can be vital in your decision-making for future vehicle purchases. Questions about best practices for maintaining your vehicle fleet? Contact Consolidated Insurance.